Being a ‘good listener’ has almost become a hackneyed phrase – and this is because almost nobody is one! It’s such a buzz-phrase because people generally would like to be ‘good listeners’ – but they don’t always know how to do this. There are no quick shortcuts to being a ‘good listener’ because you actually have to be a good listener – no amount of faking it will work here. If you’ve ever had the tender, loving, support of really being listened to, you will know the difference between this and the experience of being with someone who is simply going through the motions and giving the appearance of listening. When someone gives you their full attention, with presence, focus and interest, you will know that you’re truly being heard, understood and cherished. You will feel the closeness, respect and love that this builds with another soul. Instead of sacred and meaningful communication, many of us experience the superficial pretence of ‘listening’ where the other person is there in body but not in spirit. Some of the variations on this theme of listening-but-not-listening are when their eyes distractedly shift away to check what else is going on, to check their phone or even to read or play games on their computer while you’re talking! Any of these scenarios will make you feel empty and cheated of the real satisfaction of sharing your heart with another. If you’ve ever experienced this sort of hollow and unfulfilling interaction – or if, heaven forbid, you’ve done this yourself, you may find the following acronym to be a helpful reminder of how to do things a bit differently. S: SIT UP – When someone talks to you, sit up and pay attention. If you’re distracted or slouching with a ‘Whatever’ sense about you, it’s unlikely that anything of significance can be shared. S: SMILE – A smile is a universal signal of warmth and openness. 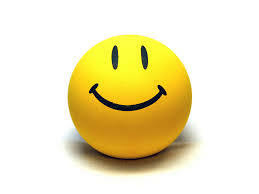 Research shows that people who smile often are more successful, confident, likeable and happy. Smiling releases chemicals to your brain that make you feel better and make the person that you’re with feel better. Smiling allows the other person to feel welcomed and gives them confidence to speak. L: LISTEN – This would seem obvious but it isn’t. Do not check social media when someone is talking to you – stay in real time instead of virtual ‘reality’! A: ASK QUESTIONS – It’s only possible to ask meaningful questions if you’ve been paying attention and LISTENING. Asking questions helps you to keep track of what the other person in saying and keeps you present with the conversation. 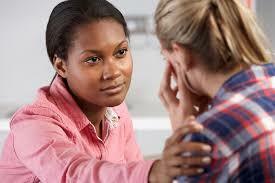 Sensitive and thoughtful questions draw the other person out and allow them to express what is in their heart. N: NODDING – When you nod your head, it calms you down as well as the other person. It’s encouraging and lets them know they are heard and appreciated. Sometimes doing this is even more helpful than any actual words that you may say. 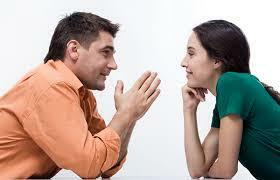 T: TRACK WITH YOUR EYES – Stay with the person who is talking by giving them eye contact. Don’t look over their shoulder to see if there is anyone more ‘interesting’ around, but give them the respect of your time and sincerity. Remember that some of the best ‘conversationalists’ are those who listen the best. Very few of us ever truly listen or are ever genuinely listened to – so practice these points and you will notice added depth and meaning in your personal and professional relationships. « Put your hand up if you have clothes that still have their price tags on in your wardrobe?